Share your photos and files quickly and easily on the web, for friends and family to enjoy. Initially, folders are password protected but you can always enable public viewing or downloading, if you prefer. 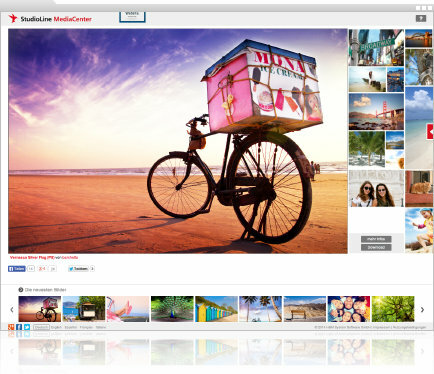 Visitors of albums can search the descriptors, and view photos in a slide show or their location in a map. Favorite photos can be collected by visitors and downloaded as a compressed file.